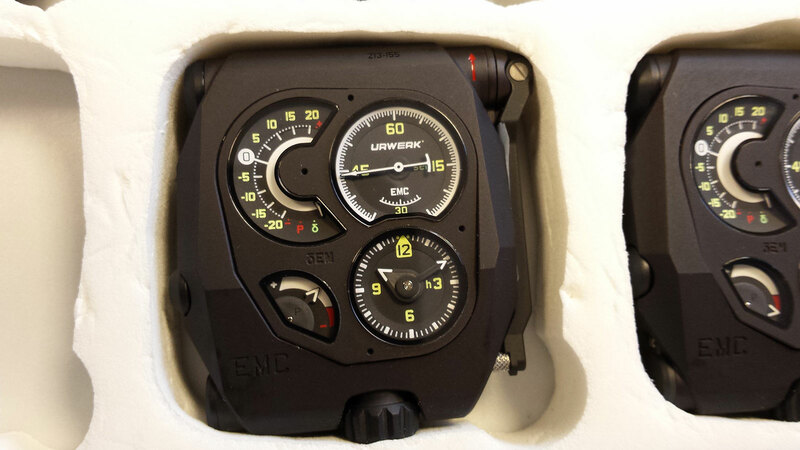 The world's first mechanical wristwatch with an electronic rate monitor and user adjustability, the Urwerk EMC is now available with a DLC-coated steel and titanium case in the brand's signature all-black aesthetic. 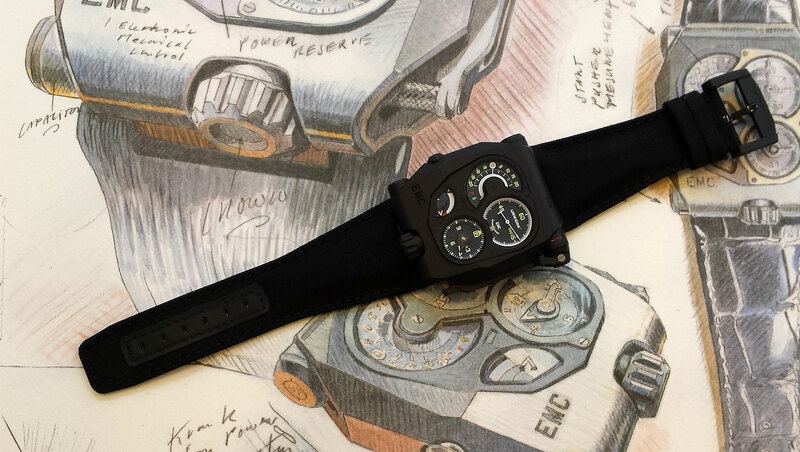 Launched last year, the Urwerk EMC combined electronics and traditional watchmaking. Originally available only in steel, EMC buyers now have the option of a diamond-like carbon (DLC) coated steel case with a titanium back. This combines an matte black case with neon yellow markings to create a look favoured by fans of the brand. 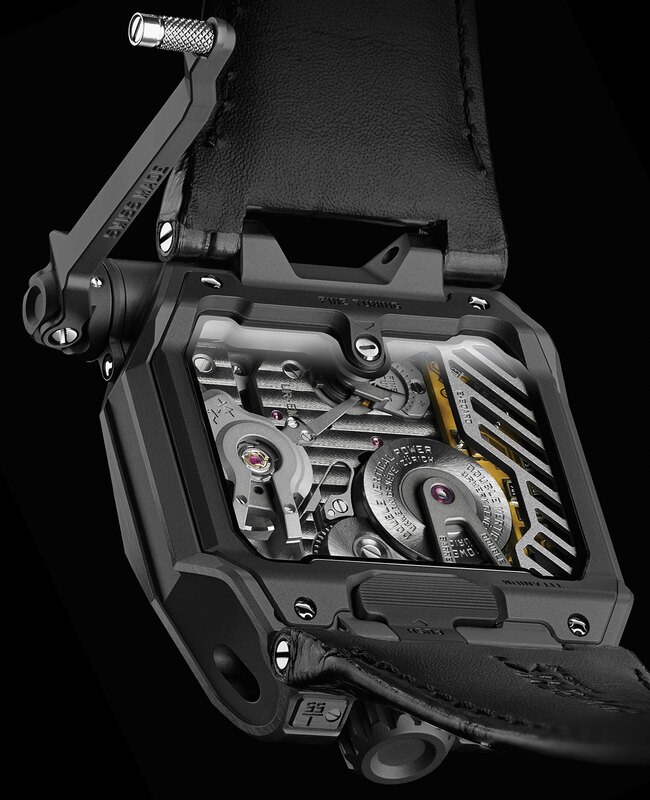 The base movement of the EMC is entirely mechanical and conventional – hand-wound with twin barrels and an 80 hour power reserve – with an integrated electronic rate monitor. 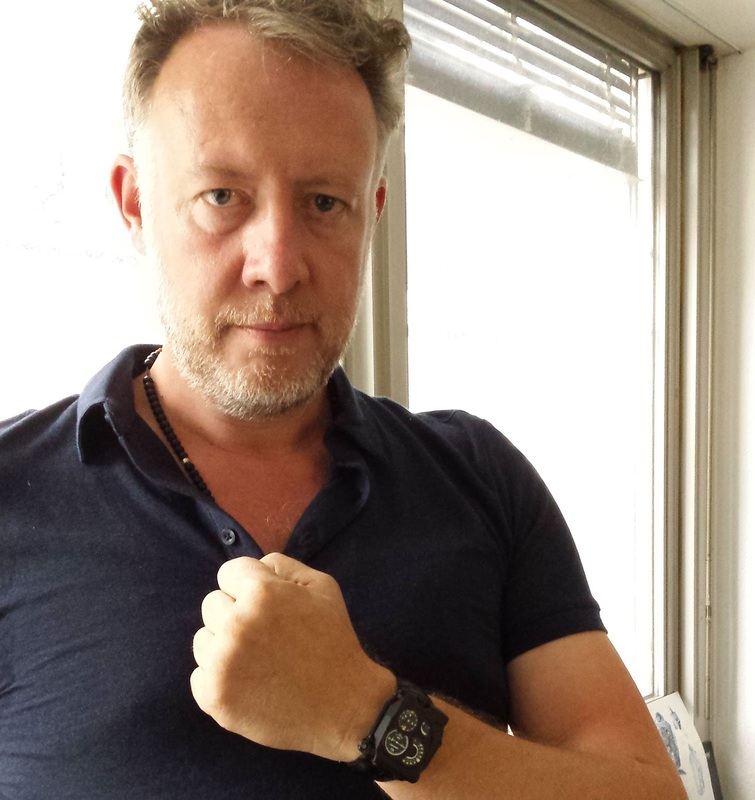 That uses an LED light and sensor to measure the oscillations of the balance wheel, which is then compared with a quartz oscillator built into the rate monitor. 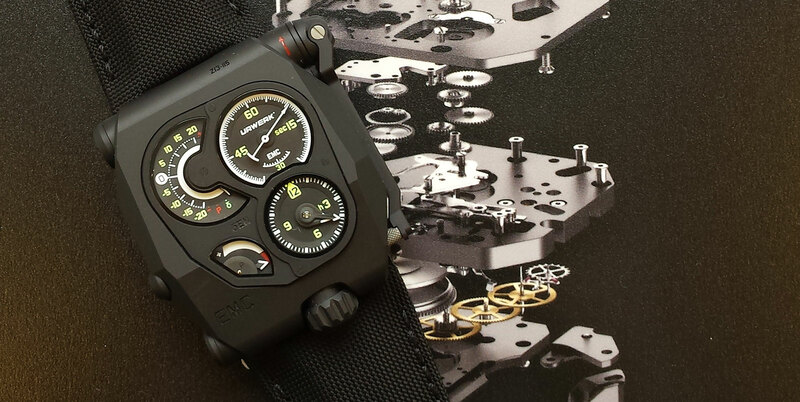 With the difference between the actual rate and quartz reference shown on the sub-dial at at top left corner, the wearer can then adjust the rate of the movement via a screw in the back. In order to generate the power needed to run the electronic rate monitor, a hand crank is built into the case – five to 10 turns of the crank generates enough energy for five rate measurements. We explained the EMC in greater detail last year. 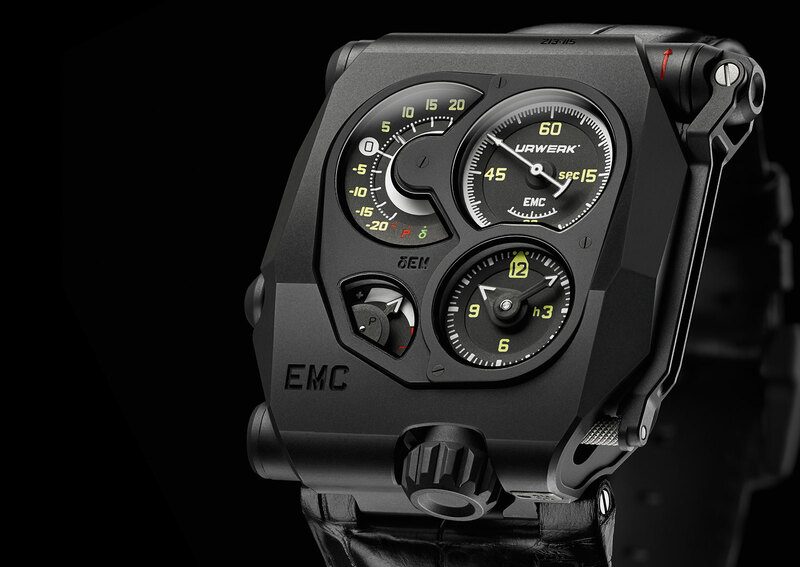 Available at retailers now, the EMC Black is priced at 118,000 Swiss francs, or about US$126,000.